You need a mix of compound and isolation exercises, following a variety of rep ranges. 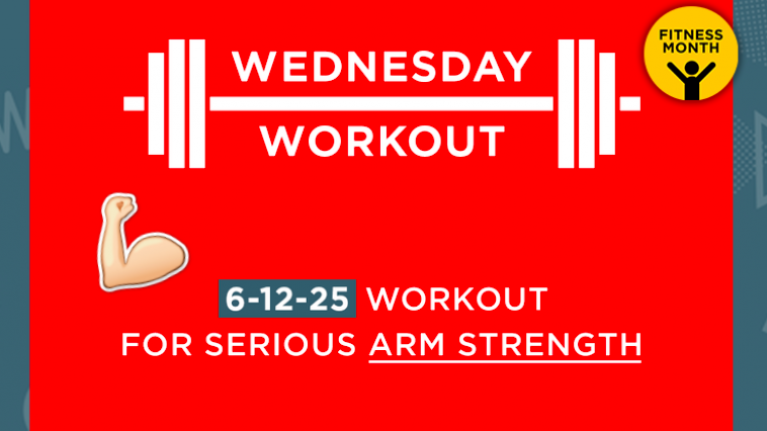 This 6-12-25 arm workout covers all bases, and should see you filling out those t-shirts in no time. Despite what you may have seen at the gym or on the internet, a couple of cable curls here and there doesn't quite cut it when it comes to increasing arm size. Research shows you need to be working your biceps and triceps through a variety of angles and rep ranges in order to spark serious growth. 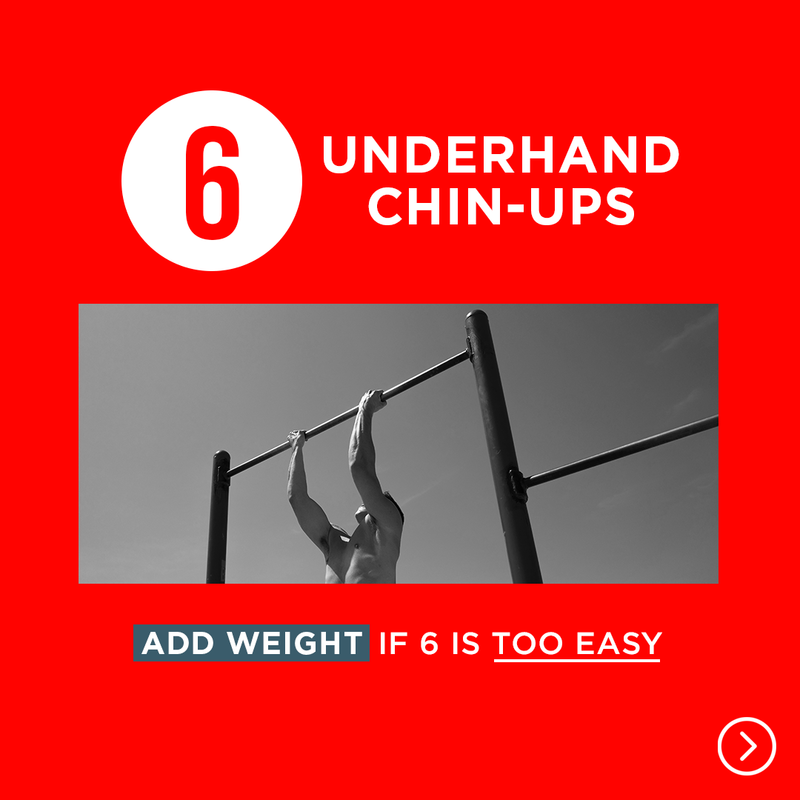 The chin-up is one of the greatest arm-builders in existence. You can also target different muscles very easily. An underhand grip such as the one depicted is best for triggering bicep growth, but a neutral grip - with palms facing each other - activates the brachialis, the muscle on the side of your upper arm which adds thickness. Even though a pronated (overhand grip) is primarily a lats exercise, you will still experience great development in the biceps and forearms. One of the biggest mistakes many make when training biceps is swinging in order to move the weight. Swinging takes all the stress off the target muscle and places it more on joints and tendons, namely the front delt (shoulder) and rotator cuff. 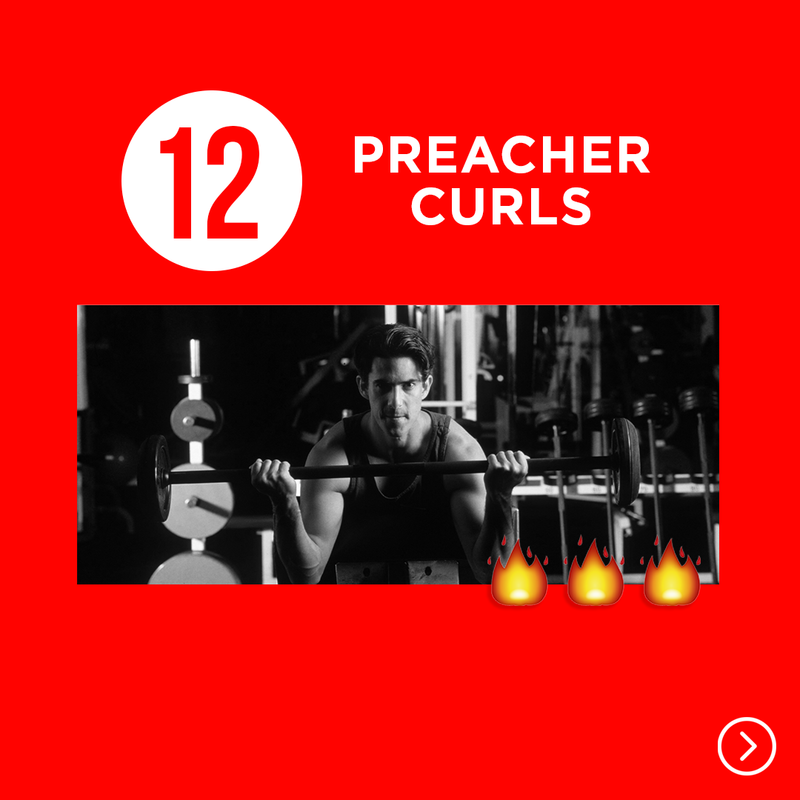 The preacher curl is such a good lift because your elbow and shoulder joint are positioned into the bench, thus eliminating the impulse to throw the weight up. You should just experience bicep stimulation. 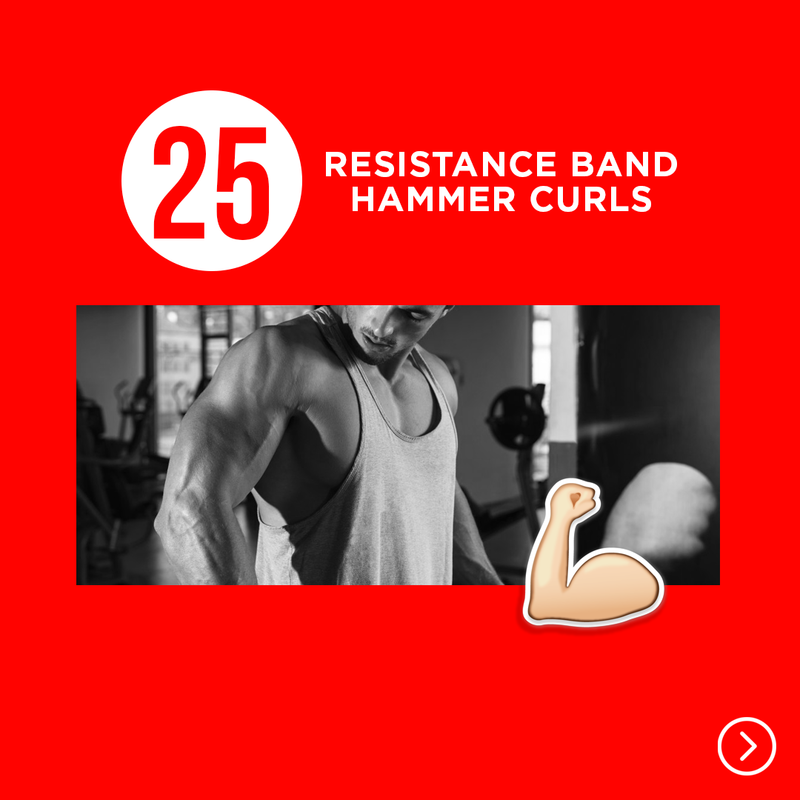 Resistance band curls keep constant tension on the target muscle throughout each portion of the exercise. Working up to a high-rep range of 25 boosts growth by increasing the amount of sarcoplasmic fluid and blood reaching the muscle cells. Resistance bands in general are a tremendous training tool. They can be packed up and taken on your travels, or anywhere where you've not got access to a gym. This 6-12-25 workout can also be done quite quickly, if you're strapped for time. Combining all three exercises into one giant superset adds an extra element of difficulty to the workout, enhancing your cardiovascular fitness in addition to arm musculature.